*The method of writing American Indians out of history. “Out of sight, out of mind” has been the mantra associated with an irreplaceable neglected culture, the American Indian. This current state of ignorance about the real founders of our country is not shared by all Americans. I have encountered many folks who attend Native festivals and powwows with their children to get first-hand knowledge about indigenous Amerindian cultures. These many festive gatherings provide a brief insight into contemporary Native Americans, functioning in today's work world, who don their tribal regalia to honor their ancestors. Although these powwow settings are very helpful, it is my experience that additional research into Amerindian cultures is mandatory. A case in point; When politicians can assail and cage Amerindians from southern countries with impunity, this is an example of a lack of knowledge about the victim's ties to this hemisphere. I arrived in Washington, DC in 1962 to pursue advanced degrees. As a foreign student, my knowledge of Native Americans was from distorted Hollywood movies. I met the first Native American on Howard University's campus. She told me that she was Pamunkey. The Pamunkey was the leading nation in the extensive 32-34 nation Powhatan Confederacy (Powhatan nations could be composed of many villages yet referred to by the diminutive designation as a "tribe" or "band"). I was introduced to a part of American society whose members were survivors from the historic Powhatan Confederacy. The curious thing was that none of her fellow students or professors knew about her Native American ethnicity. Since that time of President Kennedy only one American president (Barack Obama) consistently mentioned Native Americans in his speeches. Instead of protecting Native Americans, the quiet destruction of the Bureau of Indian Affairs (BIA) by the current administration is ongoing. For survival purposes, some departments of the agency have contingency plans for survival. In his private casino life Trump had seen Native Americans as the enemy of his gambling concerns. Because of a deep “National guilt” about Native American genocide, (most notably perpetrated by President Andrew Jackson's "Indian Removal Act") the plight of the American Indian has retained its “invisibility” status in our national discourse. Q: How many Native Americans or Amerindians do you personally know? 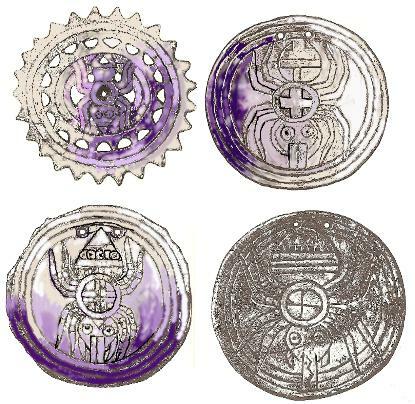 Q: Do you know your own Amerindian blood quantum? Or do you suspect that you may have some Native “blood”? Q; Are the Powhatan nations extinct? This broader approach to our education should also include examinations of the Mesoamerican Empires and Civilizations of Central America and Peru. After all, these studies should be as important to us in this Western Hemisphere as the studies of Greece, Rome, Egypt, Mesopotamia and China are to Europeans and others in their Eastern Hemisphere. We should become more knowledgeable of our own hemisphere. 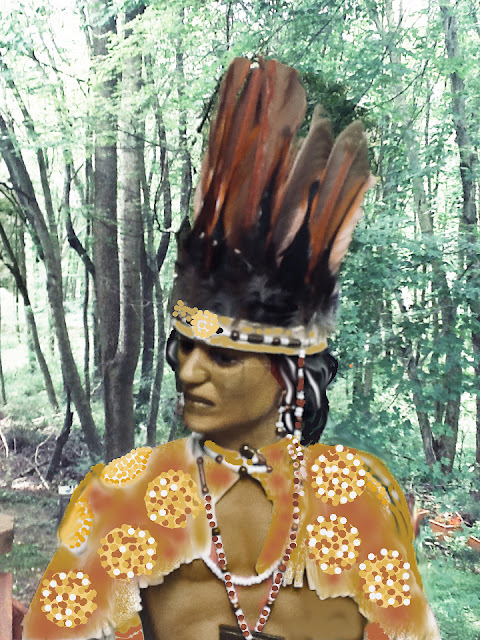 Allowing the Amerindian to continue to be invisible adds to their cultural demise. A cautionary note: Europeans in the Americas are overly interested in Mesoamerican human blood sacrifices. In teaching about Mesoamericans, less emphasis should be placed on this religious activity. Emphasis on Amerindian sacrifice is a way of diminishing Amerindian cultural and technical advancements. There is a need to look in the mirror. As for Judaeo-Christian sacrifice... After all, human sacrifice and the ritual "drinking of Christ's blood and the eating of his flesh" are not taught by Christians as a form of ritual cannibalism. Beheading and torture in Europe are not usually emphasized in the teaching of European history. 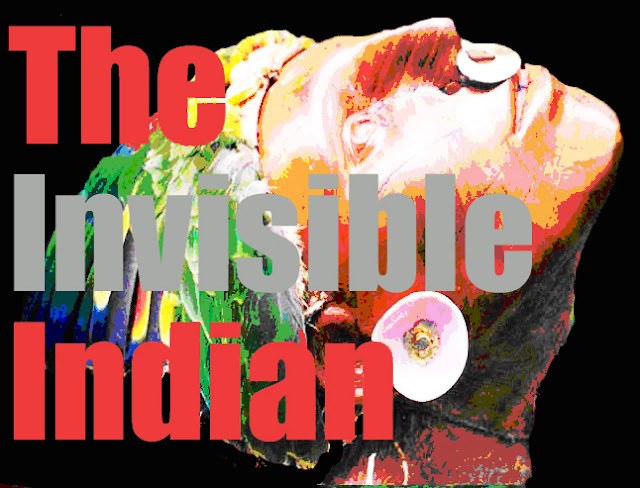 Invisibility issues are compounded by the "Hidden Indian" syndrome. 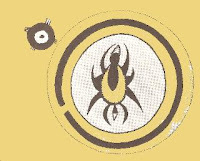 Over the years as a vendor at powwows, I have met some brave attendees with the desire to reconnect with their Native roots. Another issue within current Native America (at least on the East Coast) is a desire to not abandon their African roots while embracing their Native heritage. They sometimes call themselves "Black Indians". Granted, each American Indian nation has its own US Federal Government coerced blood quantum criteria for tribal membership. So, being of Native descent through DNA is more widespread than the census could imagine. Many Natives with varying degrees of blood quantum, don't know their tribal affiliation and may belong to the "Hidden Indian" category. In families, here and in Brazil, three family siblings can identify as black, white or Indian. During the centuries old dispersal of Native peoples throughout the continent, as well as the application of the *Racial Integrity Act of 1924, many Natives lost track in the ethnic mix within the American society because of socially "blending in", or denying that they were Indian. Many passed over into the "white" or "colored" communities to survive the dictates of racially divided neighborhoods, some succumbed to the Racial Integrity Act, or assimilated for purely economic reasons. Remember, in America it was better to be white or black than it was to be a disposable Indian. These racial choices can be political, physical, pride based or because of peer pressure. For example, in the Black community pressure to conform to the racist "One Drop Theory" by the "race police" is often worded this way, "What? You sayin', ...you not Black?" is as common condemning refrain. We must do the research that was denied us during our early education. * The Racial Integrity Act of 1924 was conceived by Dr. Walter A. Plecker of Richmond, Virginia, a member of the racist Eugenics Movement. It stated that America was composed of two races, the black and the white race. Unfortunately most people are oblivious to Native American history. This is not their fault. Conquerors rarely taught indigenous history and the impact that these Indigenous cultures had in the creation of our homelands. The historical truth was that Spanish and English colonial aims were to eradicate and replace indigenous Amerindian cultures with their own. Nothing is more obvious than in South and Central America where rabid Spanish priests tore down the Amerindian religious temples to build Catholic cathedrals over them. They even gathered and burn Amerindian books as "Works of the Devil!". The theory was to eradicate the Indian and make him or her a manageable Christian. For example: On our continent, the English and their successors, the Americans, rarely taught about the Powhatan Confederacy and its role in the founding of America. Instead, we are saturated with the cartoon images of a minor Powhatan II daughter, Pocahontas, a bigamist Pamunkey young woman who was a victim of Stockholm Syndrome. (When a captive begins to identify with the captors.) Patty Hurst is a good contemporary example. Most people within driving distance are shocked to learn that the oldest American Indian Reservation, the Pamunkey (Pocahontas' tribe) is 30 miles East of Virginia's amusement park, Kings Dominion on I95. A MONUMENT TO POWHATAN II? Figure: The bust of a proposal for a full figured sculpture for a "Monument to Powhatan II" proposed by the powhatanmuseum.com to be placed next to a bronze figure of George Washington in Capitol Hill's Statuary Hall. Q: What are the qualifications for a monument to this Native American statesman? A: Without Powhatan's approval to allow the English to set up a trading post that became Jamestown, Virginia, we would ALL not be here in a country that became the United States of America. His decision did not work out well for his vast Confederacy/Kingdom. But the same cannot be said about the European "Founding Fathers" who built their expanding democracy on the Powhatan Confederacy's territory. YET, HE REMAINS INVISIBLE! 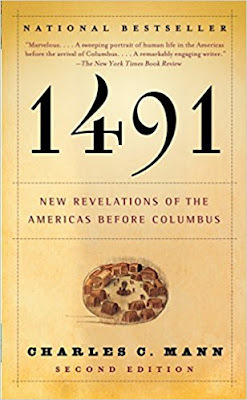 ALSO: How can we forget the Amerindian holocaust that began in the 15th century? The question about this historic event has rarely been a part of our educational curricula. As above, the invisibility issue is a case of "Out of sight, out of mind." This phenomenon continues today with the offhandedly dismissal of the plights of the descendants of the victims of this planet's greatest human holocaust. This tale of baldness is similar to the Cherokee's Grandmother Spider's "Bringing the Light". During the process Turkey Vulture becomes bald and Possum's tail becomes naked. Charles Edward Smith from Brooklyn, NY and a Jamaican mother, Corinne Coleman. The family moved to Jamaica to build the first railroad in Colonial America. 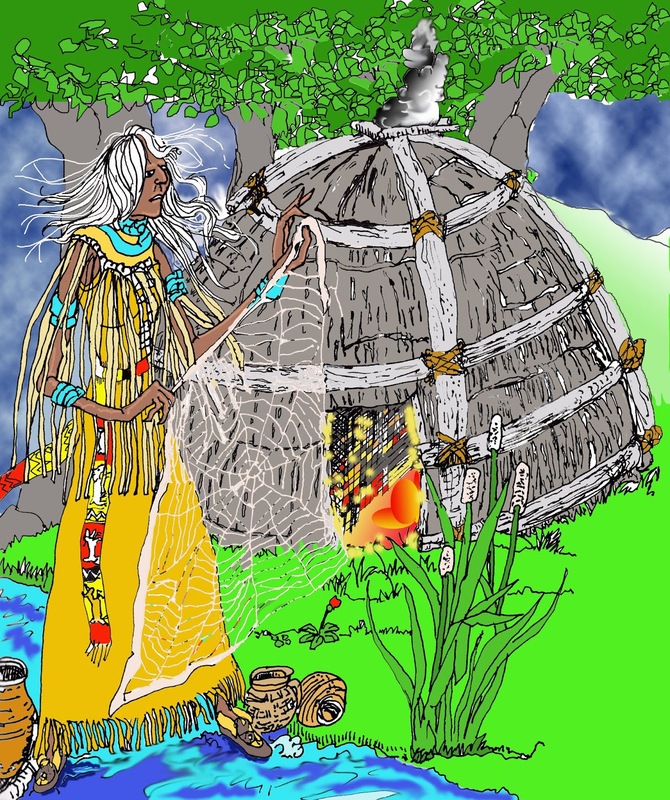 Grandmother Spider by Michael Auld from his book, "Ticky-Ticky's Quest: Travel to Turtle Island". A CHEROKEE STORY ABOUT "THE BRINGING OF THE LIGHT"
[From a tale reported by James Mooney in the 1890's. "American Indian Myths & Legends"
Selected and edited by Richard Erdoes and Alfonso Ortiz]. into each other and groping blindly. too greedy to share it with others. inside all that fur." Then he set out for the other side of the world. There he found the sun hanging in a tree and lighting everything up. light was hot and burned all the fur off. from him, and ever since that time Buzzard's head has remained bald. Grandmother Spider said, "Let me try!" side of the world. She was so small that none of the people there noticed her coming. she taught the Cherokee people the art of pottery making. From a tale reported by James Mooney in the 1890's. "American Indian Myths & Legends"
by Richard Erdoes and Alfonso Ortiz. The above Cherokee story is similar to an explanatory tale's Anansi Story about "How John Crow (Turkey Buzzard) got a peel (Bald) head." 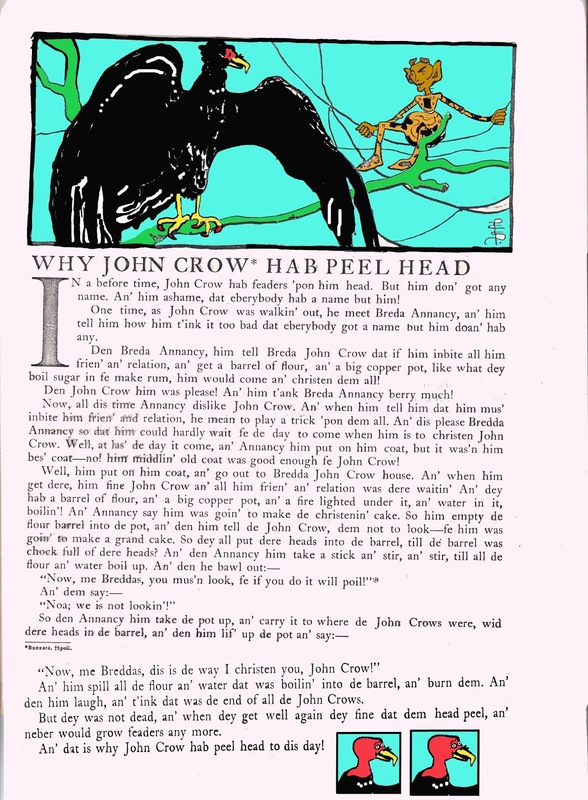 The Sun was responsible for Possum's once furry tail to become bald while Anansi used trickery and hot water to explain John Crow's pink baldness.